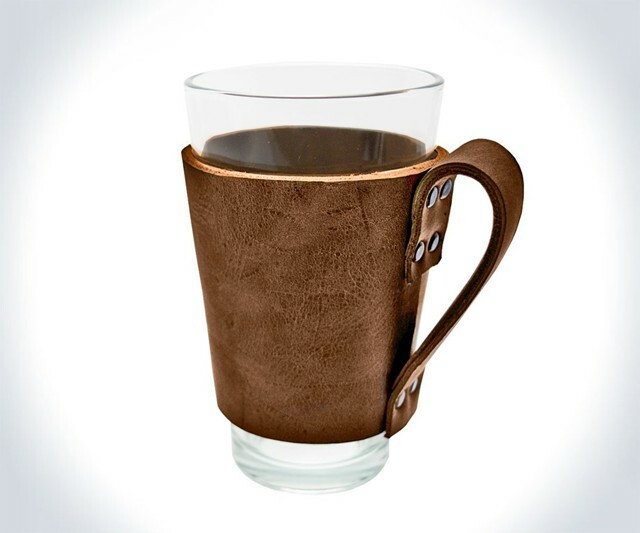 Hide & Drink hand makes these nifty leather pint glass sleeves (with handles!) for sophisticated beer drinkers and sloppy drunks alike. Instead of chilling your hand and warming your beer with direct skin-to-glass contact, use a full-grain koozie upgrade to keep sips comfy, tasty, and fit for a Restoration Hardware catalogue. Hide & Drink smiths pint glass sleeves from 100% soft genuine leather and rust metal hardware. They say the rustic appearance will only improve with age and use.